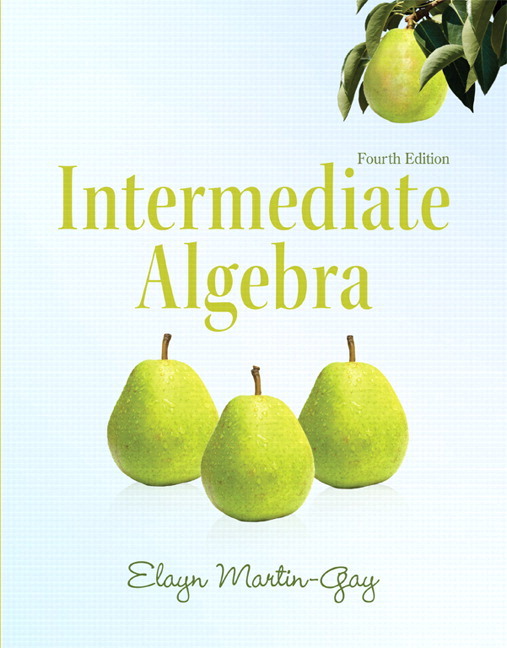 For courses in intermediate algebra. Elayn Martin-Gay's developmental math program is motivated by her firm belief that every student can succeed. Martin-Gay's focus on the student shapes her clear, accessible writing, inspires her constant pedagogical innovations, and contributes to the popularity and effectiveness of her video resources. This revision of Martin-Gay's worktext series continues her focus on students and what they need to be successful. 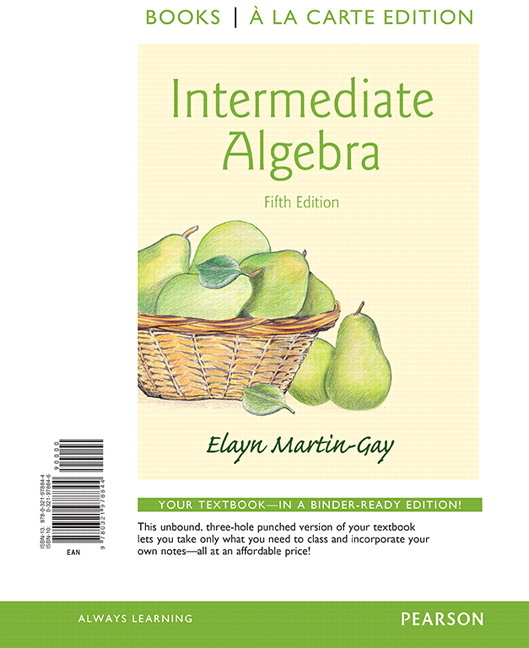 The new Martin-Gay Student Success Program provides an integrated teaching and learning system—combining the textbook, MyMathLab®, student and video organizers, and the video program—which is designed to help students gain the math and study skills they need for success in developmental math and beyond. 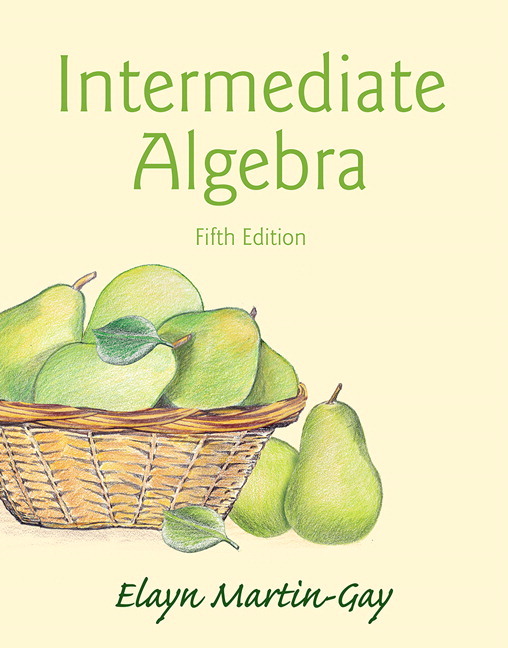 What's New in Developmental Math? Martin-Gay’s NEW Student Success program is motivated by Elayn’s firm belief that every student can succeed. 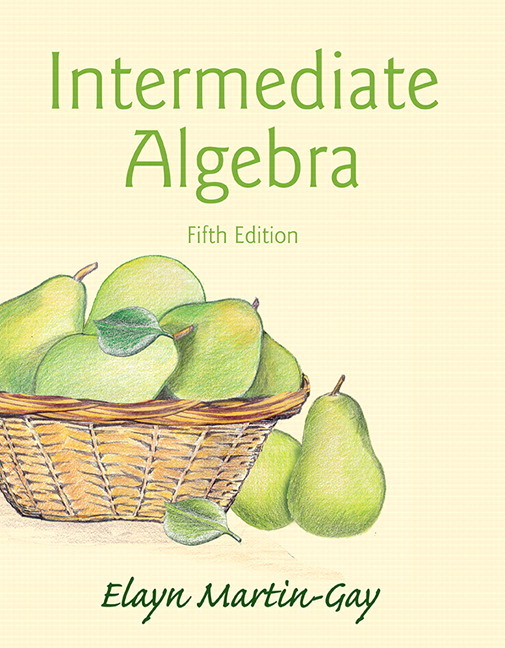 This integrated learning system combines the textbook, MyMathLab, student and video organizers, and the video program, and is designed to help students gain the math and study skills needed for success in developmental math and beyond. The new Ready to Go MyMathLab®courses provide students with all the same great MyMathLab features, but make it easier for instructors to get started. Each course includes pre-assigned homework and quizzes to make creating a course even easier. The Martin-Gay Ready to Go courses also feature a stepped-out learning path for students that integrates the textbook, videos, and Video Organizer to help ensure that students are getting the most from the available resources. A complete lecture for each section of the text highlights key examples and exercises. New “pop-ups” reinforce key terms, definitions, and concepts while Martin-Gay presents the material. 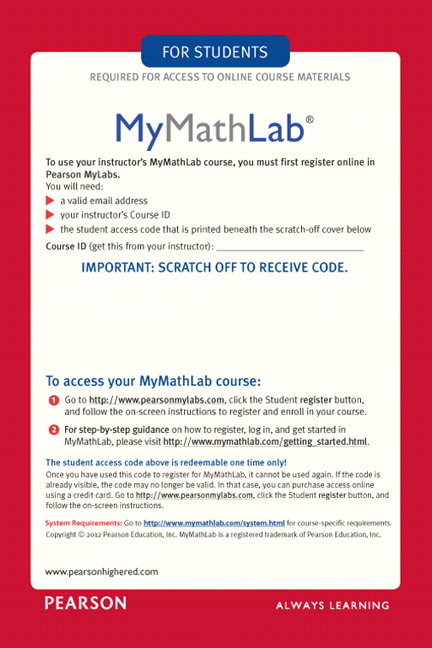 The lecture videos are also available to be viewed and assigned by objective within MyMathLab. The NEW Student Success Tips Videos are 3- to 5-minute video segments designed to be a daily reminder to students to continue practicing and maintaining good organizational and study habits (see New-to-Edition section for more information). Two Organizer options let you choose the option that best suits your teaching style and format. The NEW Video Organizer is designed to help students take notes and work practice exercises while watching the Interactive Lecture Series (available in MyMathLab and on DVD). All content in the Video Organizer is presented in the same order as the videos, making it easy for students to create a course notebook and build good study habits. The Video Organizer is available in loose-leaf, notebook-ready format, which encourages students to create a course binder. It is also available in MyMathLab. An outline for use with the new Student Success Tips Videos is also included. All exercise sets have been carefully updated with this revision. Several special types of exercises throughout the text give students the practice they need: new Vocabulary, Readiness and Video Checks; Guided Applications; Mixed Practice; Concept Extension; and more! The Readiness exercises assess a student’s understanding of concepts that are necessary to continue with the exercise set. Videos that apply to any college course in general, such as Time Management. Videos that apply to any mathematics course. One example is based on understanding that mathematics is a course that requires homework to be completed in a timely fashion. Section- or content-specific videos that help students avoid common mistakes or better understand concepts that often prove challenging. NEW! The Video Organizer is designed to help students take notes and work practice exercises while watching the Interactive Lecture Series (available in MyMathLab and on DVD). 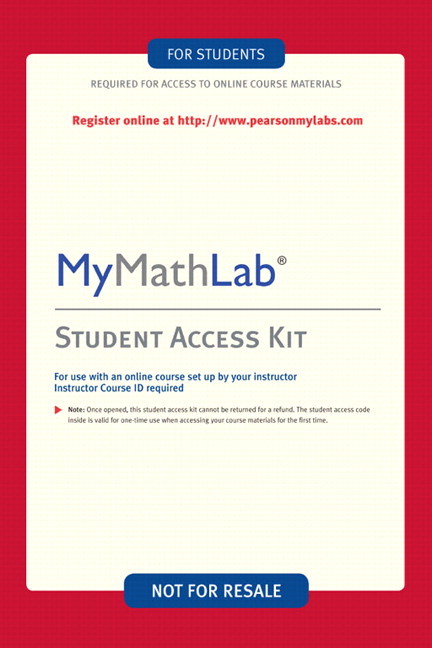 Two MyMathLab course options are now available: a standard course and a Ready to Go course. The new Ready to Go courses provide students with all the same great MyMathLab features, but make it easier for instructors to get started. Each course includes pre-assigned homework and quizzes to make creating a course even easier. This new Martin-Gay course provides a stepped-out learning path for students that integrates the textbook, videos, and Video Organizer to help ensure that students are getting the most from the available resources. Pre-made (and pre-assigned in the Ready to Go course) pre- and post-tests for every chapter. Elayn is the author of 12 published textbooks and numerous multimedia interactive products, all specializing in developmental mathematics courses. She has also published series in Algebra 1, Algebra 2, and Geometry. She has participated as an author across a broad range of educational materials: textbooks, videos, tutorial software, and courseware. This offers an opportunity for multiple combinations for an integrated teaching and learning package, offering great consistency for the student.